COMMENT | You can say a lot about PAS president Abdul Hadi Awang and lord knows, I have said most of it in many articles over the years. What you cannot accuse him of is political correctness when it comes to racial and religious politics in this country. Even when the opposition went through its “PAS for all” kool-aid period, Hadi was chafing at the bit, ever willing to contaminate the Kool-Aid with hints of the real agenda of the Islamists in this country. When he babbles on about a Muslim-only cabinet, the reality is that in Malaysia, this already is the case in substance but not form. While I appreciate DAP’s Bukit Gelugor MP Ramkarpal Singh’s defence of the secular nature of this country as decided by the highest court in the land, we now know that when it comes to secular (civil) law and religious (syariah) law, the state security apparatus obviously did not get the memo. Hence, reminding Hadi or anyone for that matter on the secular nature of this country is pointless. 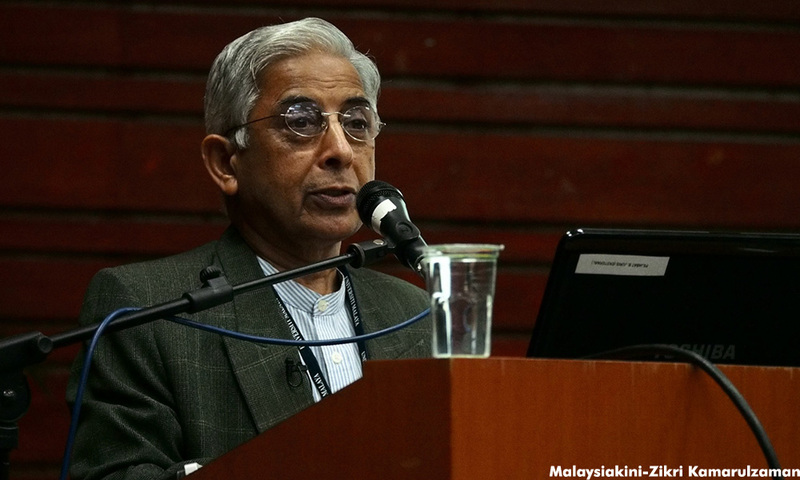 When an academic like Shad Saleem Faruqi (photo) attempts to do so, he is hounded by the various Islamic agencies who have taken it upon themselves to declare Malaysia an Islamic state on who knows whose authority. Hadi, meanwhile, has never attempted to hide the fact that he believes Islam is supreme and that everyone else must submit to its authority. Furthermore, when it comes to this bit, “...Islam daripada bangsa yang paling berpengaruh” (Islam originated from the most influential race), this is just the cherry on the cake when it comes to racial and religious supremacy. He is just covering all his bases. Of course, preacher-politicians like Hadi will always manage to justify their beliefs by quoting from some religious scholar or another. They will never come out with something original (of their own) as to why what is essentially a bigoted form of governance is allowed in Islam. We did have that one chap who claimed that racism was "allowed" in Islam but one would think that a religious scholar like Hadi would have the gumption to come up with his own rationale as to why his agenda for a Muslim-only cabinet was sanctioned in Islam.